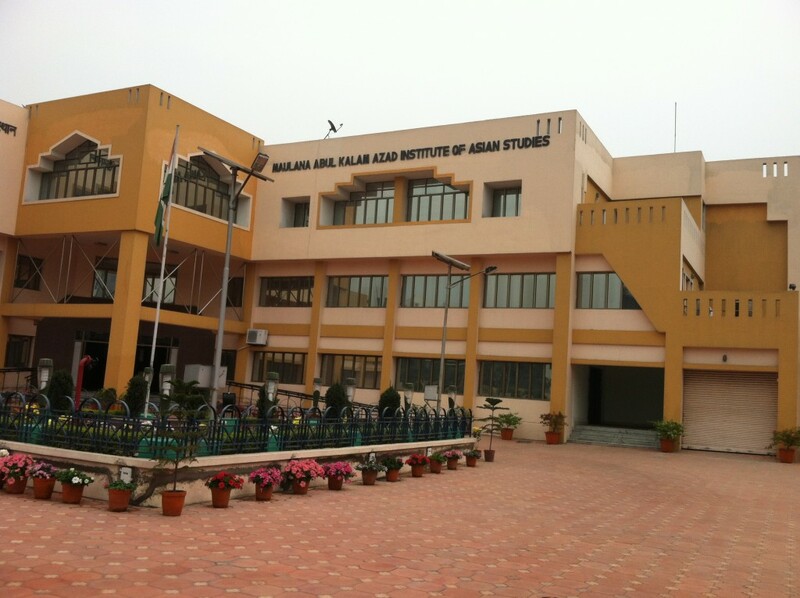 Are you planning your research trip to India? 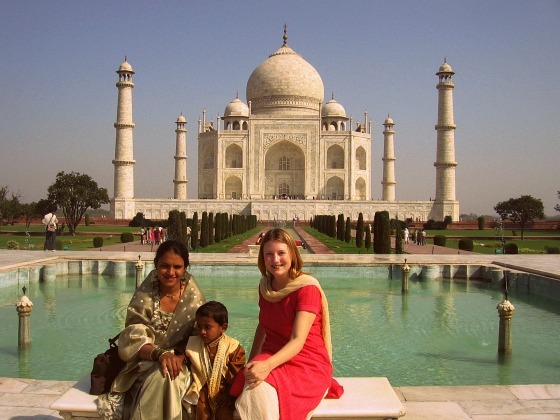 If it is your first research trip to India, you will definitely have a lot of questions. Is there a list of libraries that would suit your research? Which cities to tour for the best possible research material? How will you communicate with the locals? How do you carry yourself in a foreign country? How safe is the city you are touring? There are a couple of steps to follow in order to make the best of your trip. Let’s begin! It is extremely crucial to do some basic research about the country and specifically the cities you have planned to visit in your itinerary. The city and the library/institution you will want to visit will depend on the topic of your research. If your research is about North India, then the best cities to tour would be Delhi, Jaipur, Lucknow, Kanpur, Patna and Gwalior. If your research is about the financial conditions in India, then the best cities to visit would be Mumbai, Delhi, Bengaluru, Kolkata, Hyderabad and Chennai. 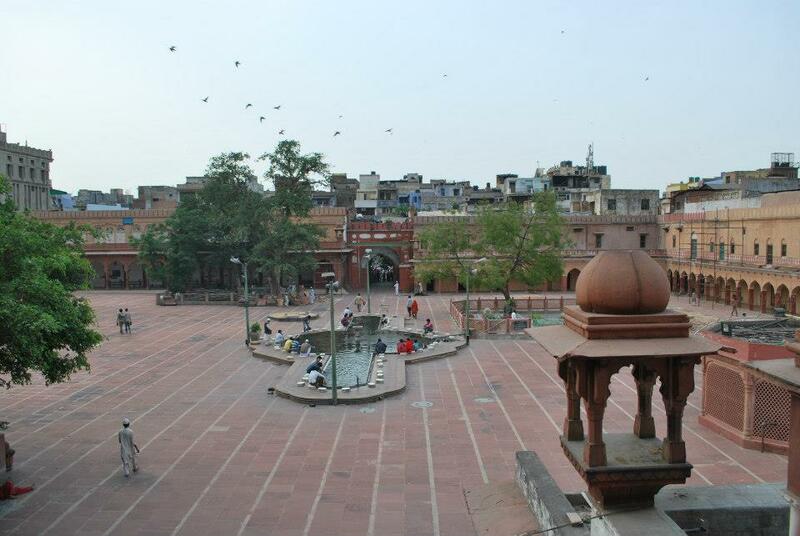 For researchers touring Delhi, there is an interesting archive review blog on “Twenty Libraries in Delhi You’ve never visited.” Being the capital region and also one of the largest metropolis cities in India, most researchers would like to cover New Delhi in their first trip to India. The Nehru Memorial Museum and Library at Teen Murti Bhavan in New Delhi would interest some of you. Please note that you will need a letter from your home institution and a letter from the U.S Embassy. If who would like to focus your research on the Southern parts of India, then the Tamil Nadu State Archives would be an excellent source for your research material. For more details on location and directions or working hours and admission procedure, you may visit this post. At the bottom of the webpage, there is a list of all the TNSA official websites that could lead you to the right source for your study. 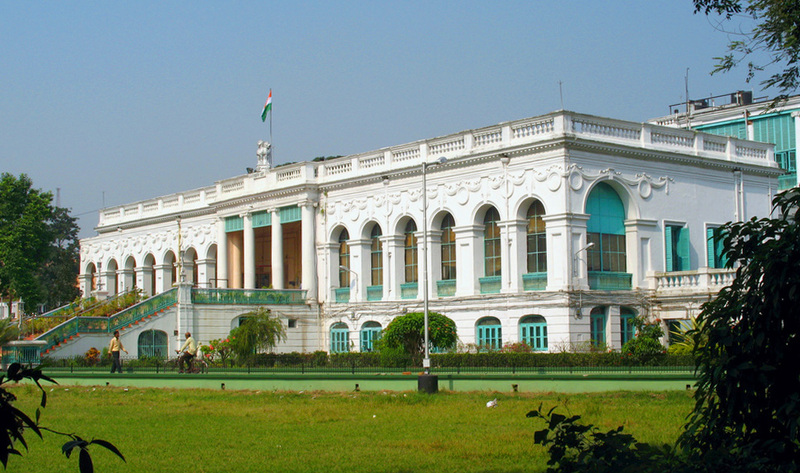 If you are planning to visit Kolkata (metropolis in East India), the West Bengal State Archives and the National Library are great sources with in depth study material. For first timers, India may not be an easy country to travel around in. The country is known for diversity in its culture and that might prove to be difficult for some and interesting for others. It is important to remember that every country has its own charm and any foreign visitor will have to make some basic adjustments to make their travel easy and enjoyable. In India, every state speaks a different language so communicating with the locals might be a tedious task. I would advise you to learn some basic Hindi (national language) words like “Haan” (Yes), “Na/Nahi” (No), “Namaste” (Hello), “Shukriya” (Thank You) and try to carry a pocket dictionary with you. Although, down South, people are fluent in English more than Hindi. Not all parts of India might be safe, especially for women. Always be agile and cautious especially if you are traveling alone during late evenings. It is advisable to wear appropriate clothing (preferably salwar kameez or jeans and a simple top/kurta) to avoid teasing. India is far more traditional in comparison to the West and hence, it is better to play safe. Try not to be over friendly with strangers, especially men. Use public transport during business hours and avoid exploring secluded streets during late nights and/or alone. Also, if you are on a short trip for a specific research purpose,avoid traveling during festivals like Diwali, Navratri, Holi as most public libraries and institutions will be closed during holiday season. India is most definitely a vibrant country with warm and welcoming people. Don’t let that overwhelm you. Instead, enjoy the differences in the cultures and try to be a part of the Indian culture as much as possible. The historic landmarks, scenic beauty, and the amazingly diverse culture of India are all worth experiencing without having to worry about any of the negative possibilities. Keeping my tips in mind as you travel should guarantee you a safe and pleasurable research trip. Happy research! Making the Invisible Visible: The Secret Vatican Archives. With the surprise and somewhat sudden resignation of Pope Benedict XVI the Catholic Church and the Vatican have been thrust onto the world stage. While the world will be focused upon the conclave of cardinals who will elect a new Pope at the end of this March, little attention will be paid to the world beneath the Cathedrals of Rome where miles and miles of underground shelving and antiquated parchment make up the Secret Vatican Archives (Archivum Secretum Vaticanum). Letters from Michelangelo including one where he complained about not receiving payment for his work on the Sistine Chapel. Founded in 1612 the Vatican Secret Archives is a treasure trove of documents whose materials cover a time span that stretches from the 8th to 20th century. Specifically, the archives is the central archives “of the Holy See and contains the historical archives of different private and public institution,” which include various religious orders and famous families and individuals. For most of the world, the archive’s priceless cultural items have remained hidden deep within the Vatican for over 400 years. In fact it wasn’t until 1881 that Pope Leo XIII opened the doors of the archive to scholars from all faiths and nations. Even today there are strict limitations to what archive users are able to view and access. For instance no materials dated after 1939 are available for public viewing. With the unprecedented Lux in Arcana exhibition and now upcoming election of a new pope the Vatican, a bastion of tradition, shows signs of change and evolution. On Saturday the 26th of January, Islamic rebels set fire to two Timbuktu libraries of ancient manuscripts as they fled from incoming French and Malian troops . 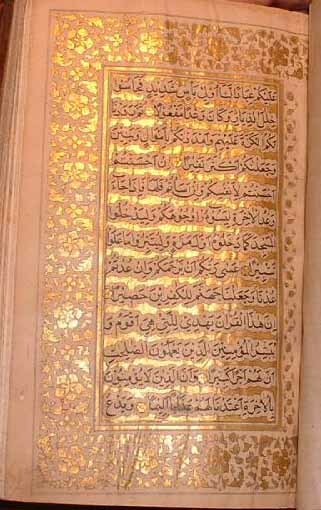 Initial articles in the media reported it to be an enormous loss of ancient knowledge, uncounted numbers of ancient Islamic manuscripts, some dating back to the 11th century, gone in one day . However, a few weeks later the librarians and Timbuktu citizens came out with happy news: prior to the burnings the majority of manuscripts were surreptitiously removed from the libraries in 2012, put in cataloged metal boxes, and stashed “beneath mud floors, into cupboards, boxes, sacks and secret rooms, into caves in the desert or upriver to the safety of Mopti or Bamako, Mali’s capital” . It had been done quietly, and “a few hundred” manuscripts left behind, so as not to alert the terrorists to their actions . Some manuscripts have been lost, but the traditional form of conservation practiced by the local family guardians of these manuscripts, simply hiding them, in combination with modern digitization efforts that have been going on for the past two years, has prevented a tragic loss of global heritage. UNESCO has also pledged to help with recovery efforts . Mathematical manuscripts from the Timbuktu collections. Image courtesy Wikimedia Commons. If you would like to view some of the digitized manuscripts for yourself, check out the The Tombouctou Manuscripts Project website, and search through their database. The Timbuktu manuscripts were saved because there was effective, unique disaster planning in place for them. While most archivists would not consider hiding their holdings in the houses of local families, for the Timbuktu manuscript guardians, who were used to unstable governments, it was the most effective available option. While disasters present a threat to all librarians, the majority of libraries do not have irreplaceable manuscripts, and the majority are also not under threat from terrorists. However, all libraries need disaster plans. Fire, water, and natural disasters (such as tornadoes and earthquakes) are the biggest threats to the majority of library collections. Water presents the most obvious damage to anyone who has dropped a book or magazine in the bath, but it presents a second threat of mold if the book is not dried properly. Fire presents the first damaging effect of burning the paper, but the use of water-based fire-suppression systems adds the damage of water and mold. In the wake of the world’s increasing globalization, the importance of protecting heritage documents has become an international, and not just local, concern. Blue Shield, “the cultural equivalent of the Red Cross,” is a group working to create internationally coordinated responses to threats to cultural heritage, such as the terrorist threats to the Timbuktu manuscripts, and they are also working to protect the cultural heritage of Syria during its current political unrest. Krätli, Graziano and Ghislaine Lydon. The trans-Saharan book trade: manuscript culture, Arabic literacy and intellectual history in Muslim Africa. 2011. E-book. Available on campus or with a UIUC netID. Ulam A. “Elusive Libraries of Timbuktu.” Archaeology. July 2004;57(4):36-40. Available on campus or with a UIUC netID. Ancient Manuscripts from the Desert Libraries of Timbuktu. (2010) Library of Congress Online Exhibit. The Fire Service Institute Library on campus has produced a Disaster Preparedness LibGuide that covers library disaster planning: check it out. McIlwaine, John. IFLA Disaster Preparedness and Planning: A Brief Manual. 2006. 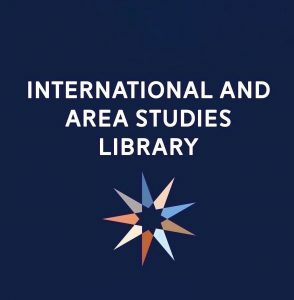 A free e-book produced by the International Federation of Library Associations. The Library of Congress maintains pages on materials preservation, including the particulars of how to care for common library materials such as books and videos. Check it out. Within the University of Illinois Archives, there are actually quite a few Arabic manuscripts, hidden away, ready to be found. For example, the Papers of Charles C. Stewart contain copies of the text and commentary on the Koran, correspondence on obtaining the text, as well as research materials contained on 104 microfilm reels, including 2054 works from various libraries. These manuscripts and printed documents are primarily from the 19th century and delve into subjects such as literature, law, Islamic religious text and commentaries, Arabic language, and history. Naturally, the Papers of Charles C. Stewart are not the only collection of manuscripts within the archives. Poking around the archives with simple search terms like “Arabic” will actually yield some pretty interesting results. From there, it’s fun to surf the archives to see why certain items (like the Alaxandar L Ringer Papers in the Sousa Archives) pops up. Moreover, it’s also interesting to look under the subjects to see where they might take you. Using the C. Ernest Dawn Papers as an example this time, under the subject line in the left sidebar, you can take control of the vocabulary used to build the archive to your advantage. Although only Middle East and Ottoman empire show up they both lead to other archived items with more descriptors, such as the William Yale Research Collection, which brings in materials from the Near East. Run with your search. See where it takes you! 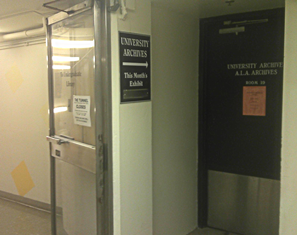 The University Archives can be found within the University Main Library, at 1408 W. Gregory Drive in room 19, at the start of the tunnel that links the Main Library with the Undergraduate Library (UGL). The best way to reach the archives is either via the tunnel from the UGL side (door will be to your left) or down to the basement from Marshall Hall and walk towards the UGL (door will be on your right). To gain access to the materials, it is best to contact the staff confirm the material’s availability a few days ahead of your visit. Click here to view their contact information.